Brain fitness methods can slow memory decline. But how does one keep their brain "fit"? What does brain fitness really mean? We will examine this within the context of new research findings. Brain fitness can be defined as the ability of the person to meet the various thinking challenges in their life. Can you cope with everyday life? How well adapt are you at coping with the various demands placed upon you? For people in high demand jobs or occupations, brain fitness is essential to compete in an ever challenging world. For the person who has injured their brain, it can mean the difference between returning to functional independence or remaining dependent on caregivers. For the aging population, brain fitness methods can enhance their ability to remain active and vibrant. In an interview with Medscape Medical News, Dr. Bob Woods of Bangor University in the United Kingdom reported that his research has shown that cognitive stimulation or brain fitness methods have improved the quality of life of people with dementia. Further, his findings indicated that decline in cognitive functioning can be slowed. He has found that offering people a variety of stimulating activities enhances brain functioning. Any kind of mental activity, from the crossword puzzles and other brainteasers found in the back of the newspaper to a game of cards, will help your brain to keep functioning at its best. 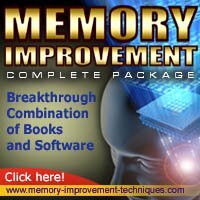 Brain fitness methods do not have to be boring, but they could keep your mind sharp and your memory clear well into your old age. And for those people well into the aging process it could provide the necessary stimulation to keep their brain and memory fit. In a study of 718 people with mild to moderate dementia, brain fitness training in small groups of 4 or 5 given two times a week for 45 minutes revealed clear and consistent benefits. These people scored significantly higher on two tests which are routinely used to screen for mental decline. When they were compared to a similar group who did not have the cognitive stimulation they did much better. What was also found with further analysis was that these people rated their mood as improved. Doctors should encourage those people suffering from early stages of dementia to engage in brain fitness stimulation. For those younger people, keeping in mind that engaging in a variety of brain fitness methods consistently will keep your brain fit and may even be protective in the long-run from mental decline.